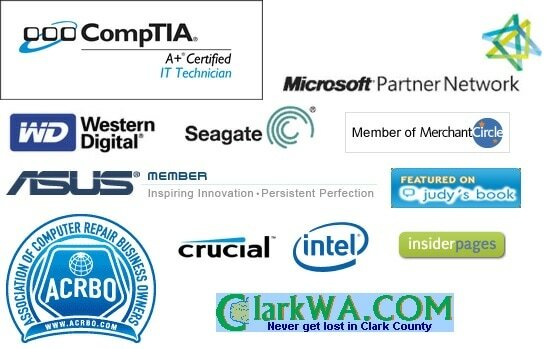 Pacific Northwest Computers provides competent reliable support when you need it the most! With all of our repair and support services, we present all possible routes of repair so we can help save you time and money. We don't just fix your issues and just leave either. We explain the "Who, What, When, Where and Why" of your problems, all in simple terms; not in geek! This helps you to not only understand what was going on, but to also helps you prevent future problems. We simply treat people how we would like to be treated! 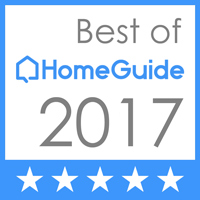 Yelp, Google, Google Maps, Yahoo, Linked In, Judy’s Book and Merchantcircle! With more than 20 years of experience, and in business since 2009, Pacific NorthWest Computers provides affordable on-site and in-shop repair services in the Vancouver, Portland, Gresham, Battle Ground, Camas and elsewhere! From system configuration and maintenance, to laptop hardware repairs, to spyware/malware removal, to wireless networking and security, to online presence for your brand, band or business, to Websites and SEO work. We even do home theater, security (cameras) and professional video/audio production work. We pretty much help whomever, wherever, with pretty much many (if not all) aspects of computers, electronics, sales, setup, maintenance, configuration and more; we do it all, or have a local referral. We support local businesses! The bottom line is this; our goal is to make your computer work its best, and make you a happy customer. We will give you old fashioned service and treat you as the valued customer that you are! Your business and referrals (because you had a good experience) are the cornerstone of our business. We simply go by the golden rule, and treat people the way we would want to be treated! *Because we do on-site work, the shop can be vacant during business hours. So please call ahead for in-shop availability Tuesday through Friday!